The history of Manipur dates back to 1500 BC according to local scriptures. While one can debate the historicity of the same, that itself makes it worth a few dozen research papers. Evidence of caves with pre-historic human-settlements has also been found. Apart from the antiquity, there are many other aspects of Manipur that can fascinate an inquisitive mind. Manipur is the birthplace of polo, it has its own version of rugby, martial arts, and classical dance forms. It also has its own mythology and religion. Although most of the Meiteis have gradually become Hindus, various elements of their original customs still remain. The most prominent example of the same is Pakhangba, the deity that appears as a heraldic dragon almost everywhere in Manipur. It also has its own rich cuisine but it is hard to locate a good restaurant serving the same although I did find one. Nehru once called Manipur the Jewel of India. He might have been influenced by the name of the place itself (Mani=Jewel) but it does remain one of the most unique, yet one of the most troubled and unexplored areas of India due to the current geopolitical realities. 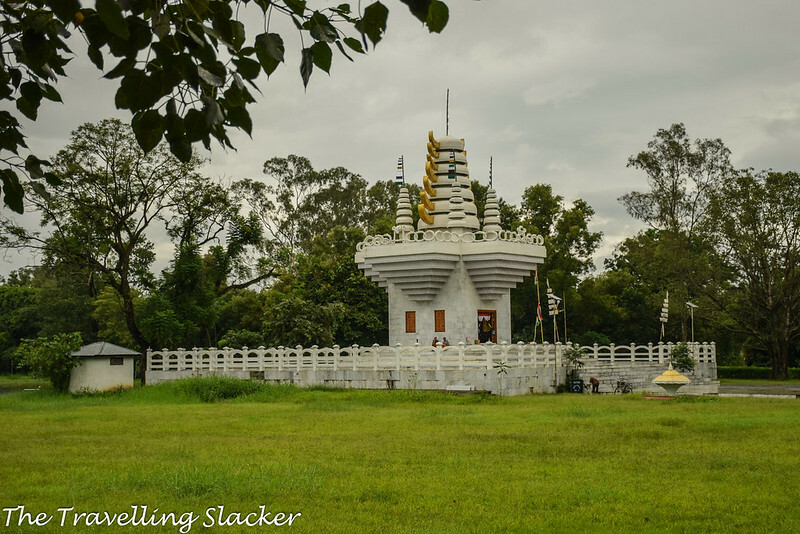 While one blog post is too short to discuss and explain everything that Manipur has to offer, as of now I am trying to quickly sum up what I experienced in a week spent in Manipur. Before getting into details, I need to explain the title of this post. It was one of my long cherished dreams to visit Manipur but I can’t really call it a success. Excessive rainfall and various other issues plagued the two-week long trip through Nagaland and Manipur. I will talk about Nagaland later, or maybe not because I could not do much out there and the primary focus was on Manipur. In fact, I’d planned it first in August but postponed it looking at the weather forecasts. 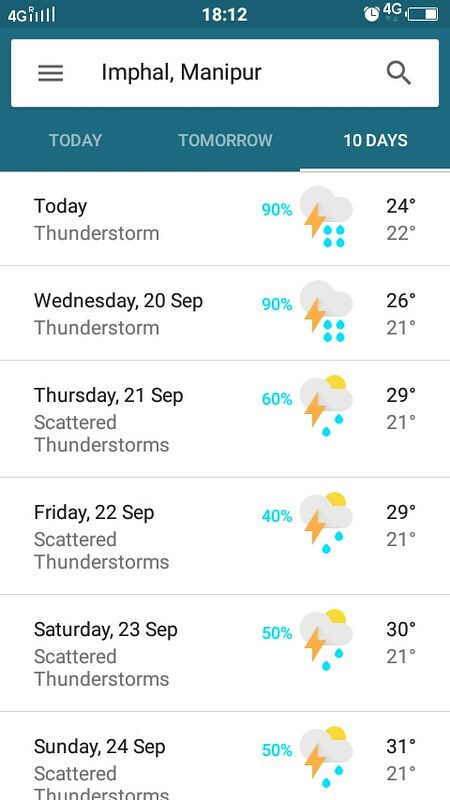 The situation did not improve in September either but I refused to believe that it could rain continuously for such a long duration, even though I am not unfamiliar with the rainy season of the North East. It reminded me of the rain troubles I had in Mechuka but that was a shorter trip. As it turned out, the forecasts were right and the only two sunny days I had were wasted while commuting on slow buses struggling through horrible roads although I also witnessed some great sights. Murphy struck almost a dozen times in as many days during this trip. In fact, these obstacles appeared so consistently that at one point I was beginning to wonder if it was for real or if I’d consumed some unknown mushroom from those hills. Apart from the rains, I got stuck at various points due to landslides, wet camera lenses, and a “bandh” (strike) that shut down all transports in the state for a day. I still don’t know the reason for that strike but as a native of Assam, I am used to such things. So, this post is about whatever I could salvage in spite of all the problems I had. I can even write a whole post about the roadblocks I faced but let us not just focus on the problems only. The state has much to offer and I intend to go back soon. 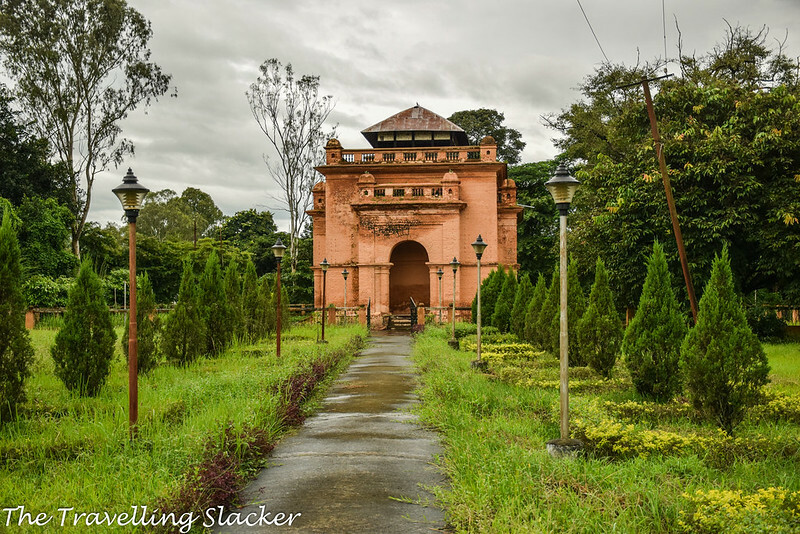 Although I was familiar with Manipur’s rich history, I was not sure if there was anything remaining to be seen. Historical sites in the Northeast generally remains neglected although I recently had a good heritage experience in Sivasagar. But soon as my bus entered Imphal, I could sense that this is a land that takes pride in its heritage. 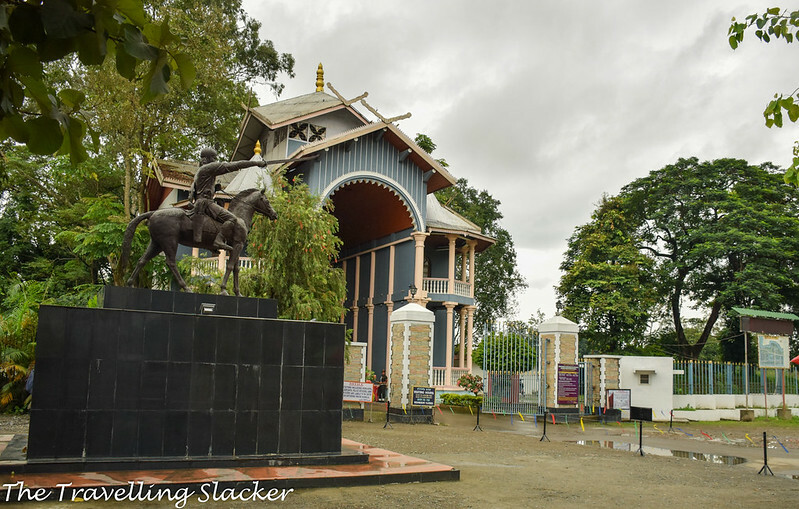 The heart of Imphal is the Kangla Fort, the ancient seat of power of the Kangleipak Kingdom. I expected it to be one decaying monument but it turned out to be a huge complex that has been freshly restored to its former glory. As a matter of fact, most of it was destroyed during the turbulent period of the early colonial era. The Anglo-Manipur war of 1891 saw many violent incidents and the eventual fall of the independent kingdom. Even after the independence, this compound remained a bastion of the Assam Rifles for a long time and only in recent years has it been returned to the people of the Manipur and now I can see a revival of the culture along with the revival of the monuments. This large compound is surrounded by two concentric moats, lined with trees and filled with water that provides brilliant reflections on a clear day. 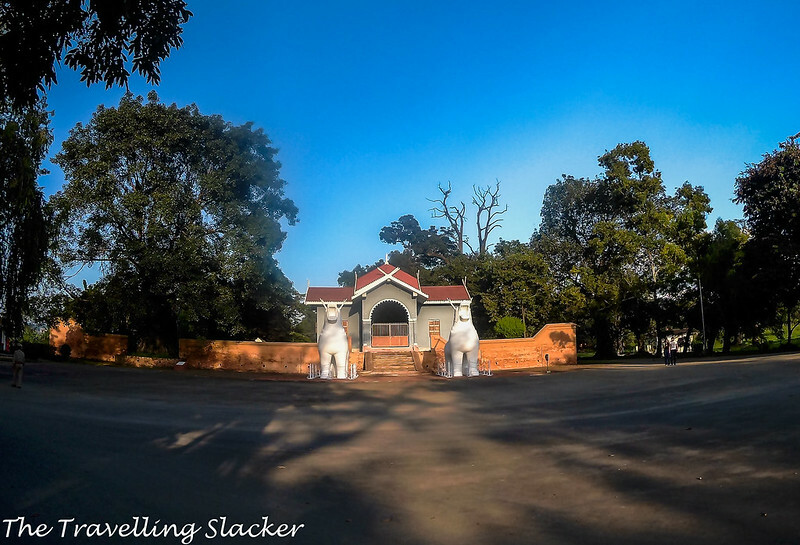 Inside the compound, one can find several old temples, graves, colonial-era cottages, and some newly rebuilt and restored structures, the most prominent ones being the two large “Kangla Sha”s, the mythical dragons guarding the land. 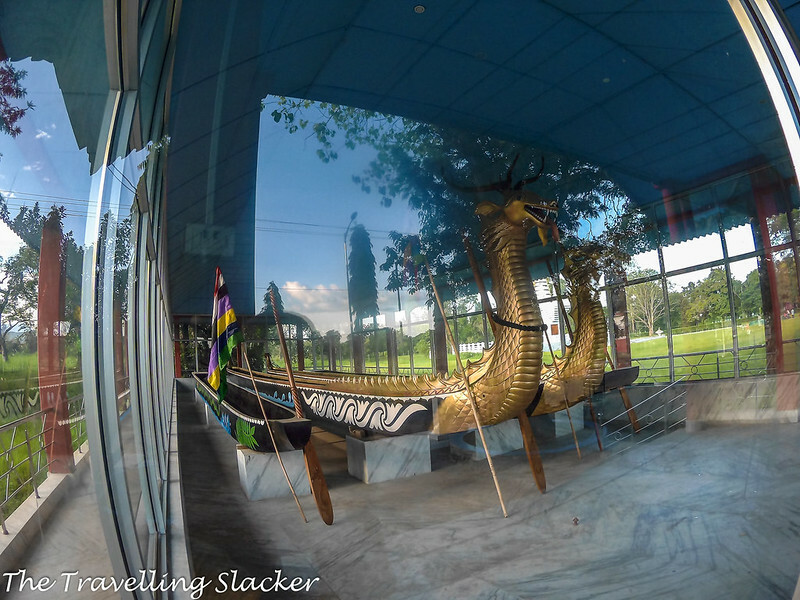 The other thing that fascinated me was the newly built “Hijagang” (Boat Yard), that stores samples of ancient Manipuri longboats with dragon faces that reminded me of Viking boats. The cultural revival can also be seen in the use of the scripts. The original Meitei Script is a very complex and unique one. It was gradually replaced by Bengali script in the 19th century with the advent of the colonial forces. But even that forgotten script is now being revived. 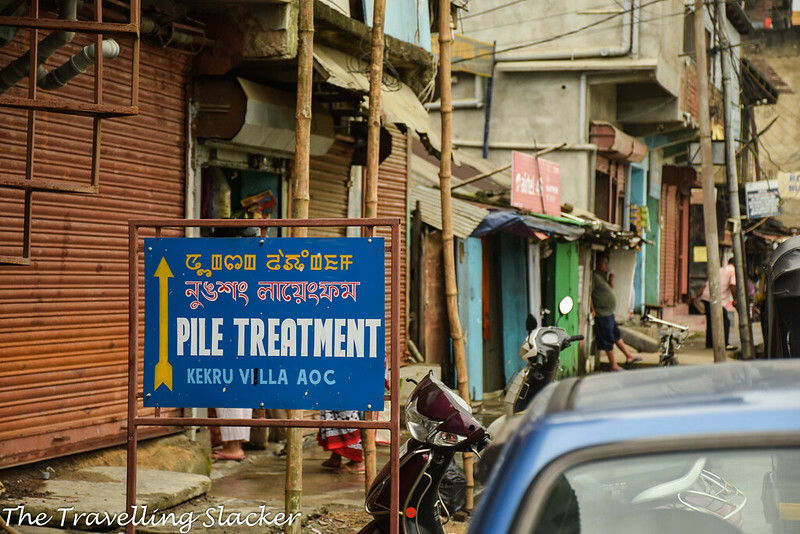 Most of the local signboards now contain English and Meitei scripts. Bengali has been gradually removed and Devanagari (Hindi) remains absent as well. This is one of the signboards I found that still maintained all three relevant scripts. 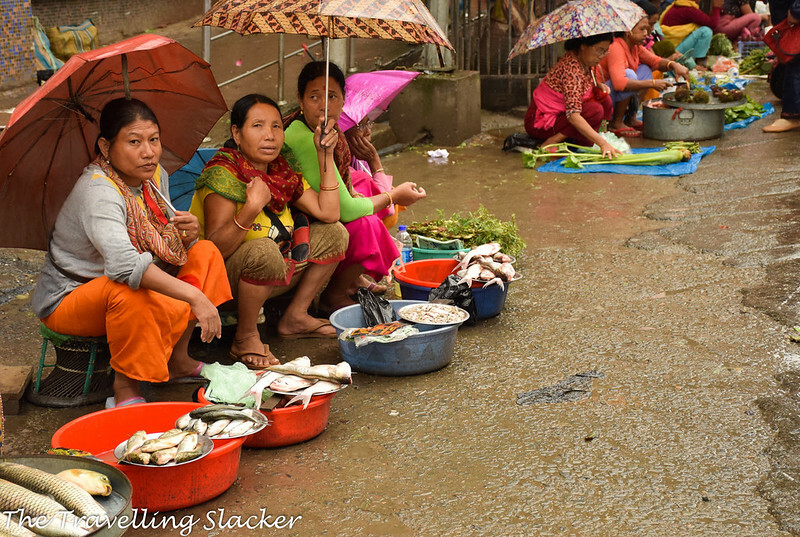 One of the places in Imphal that most outsiders are also familiar of, is the Ima Keithel, the all women’s market. 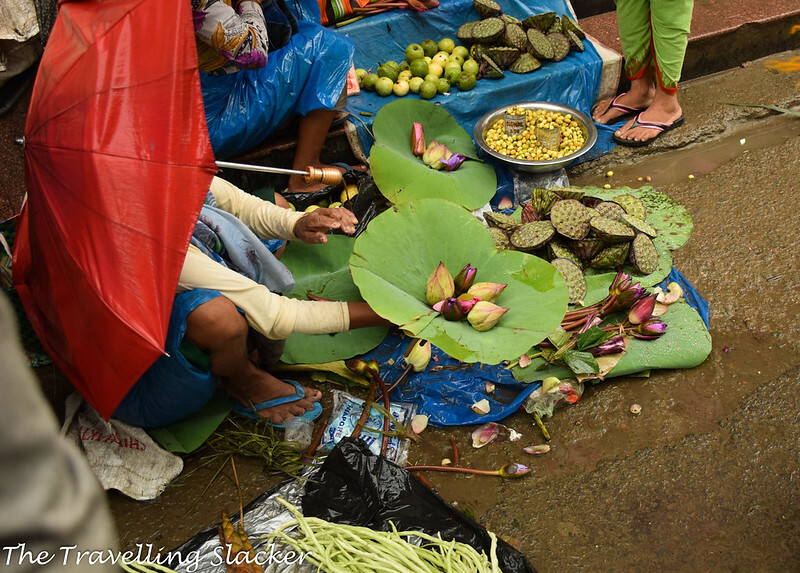 Every seller is a woman here, selling everything from handicraft to fish, and from exotic fruits to lotus flowers. However, as I spent more and more time in the state, I realized that this is not the only such market. Most other markets here are also dominated by women and this trend can be seen in many other Northeastern states too. 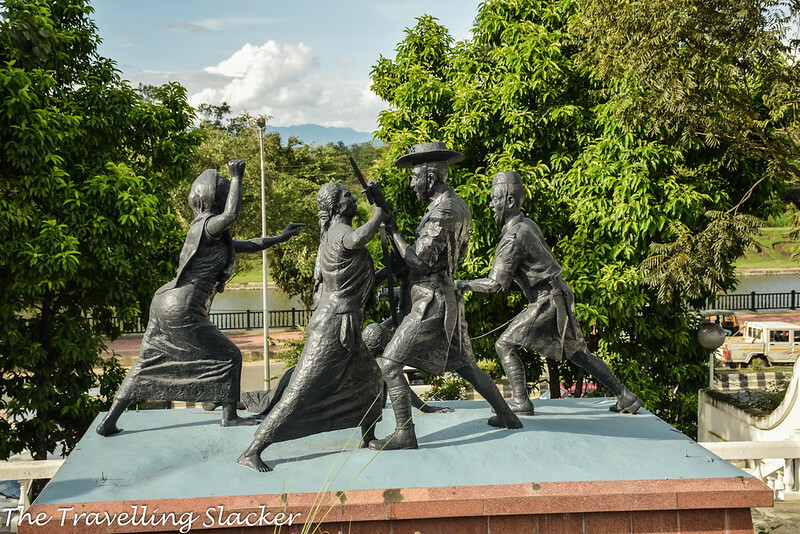 Another notable example of the prominence of women in Manipuri society is the Nupi Lal memorial, an evocative sculpture depicting the brave women who fought against the colonial forces on multiple occasions. Manipur actually enjoys a very strategic location. 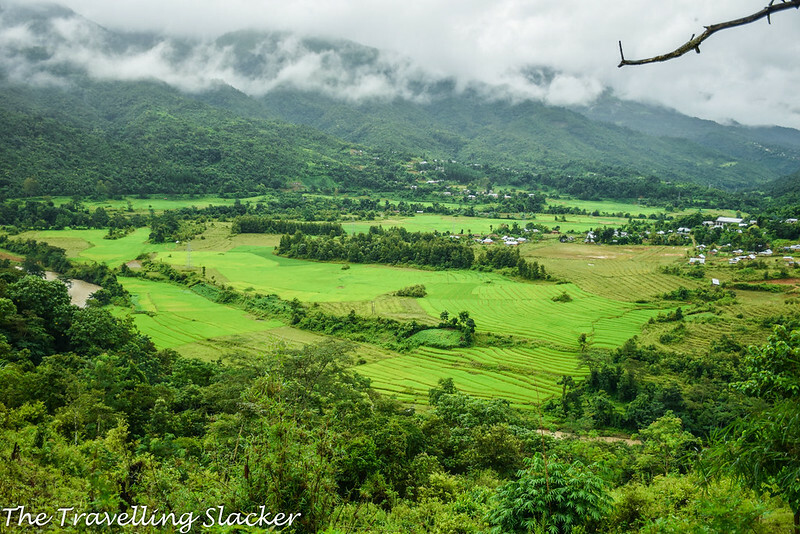 It is a small but fertile valley that is surrounded by hilly terrains and it connects Southeast Asia with the Indian Subcontinent. It must have been an important halt on the ancient trade routes which enriched the culture with varied influences. At some point during the trip, I came across an account of a Chinese invasion in Manipur that was beaten back. It is not exactly verifiable but there must have been regular contacts with those lands. At present, this aspect of Manipur remains the least obvious. Compared to the ancient times, it is now a landlocked, tiny state, facing several restrictions. The primary road connecting Manipur to the rest of the world passes through Nagaland but it has a border dispute with Nagaland. So, road blockades are nothing new in these frontiers. 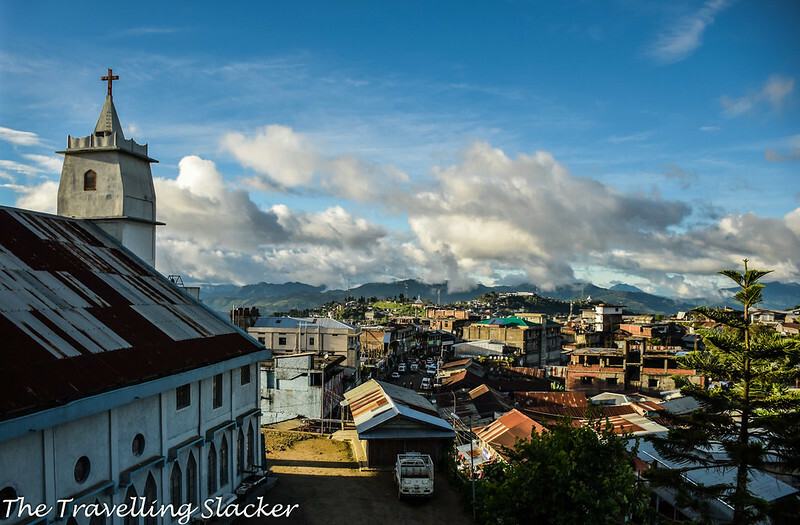 The trade with Myanmar now takes place through the small border town of Moreh. Tourists can also briefly cross over to Myanmar and visit the town of Tamu from Moreh. I planned to visit it but had to skip it as many days got wasted in other places due to the rains. This front has huge economic potential but the “Look East Policy” of the Indian Government still remains at a nascent state. Also, the insurgency in Manipur, as well as the border areas of Myanmar, don’t help the cause. One of the most neglected theatres of the World War II was the one around Myanmar and Northeastern India. I have seen many Hollywood epics on the battles of Europe and of the Pacific, but I have never seen a half decent work on this region. The closest one, I guess, is The Bridge on the River Kwai, and there exists a propaganda film on the construction of the Ledo Road (Stillwell Road), narrated by Ronald Reagan during his salad days. Nevertheless, everyone must realize that this was the region where the advancing Japanese forces were finally halted. Both Nagaland and Manipur saw heavy fighting during those months. For Indians, it is still a conflicting aspect of the history because Subhash Bose’s INA entered India through the same route with the Japanese and planned to liberate India. The Indian intelligentsia still remains divided as far as Bose is concerned. As a humble travel writer, I’ll not say much about this issue and invite hostility but I am glad to report that there are enough remains of the war for everyone to see. 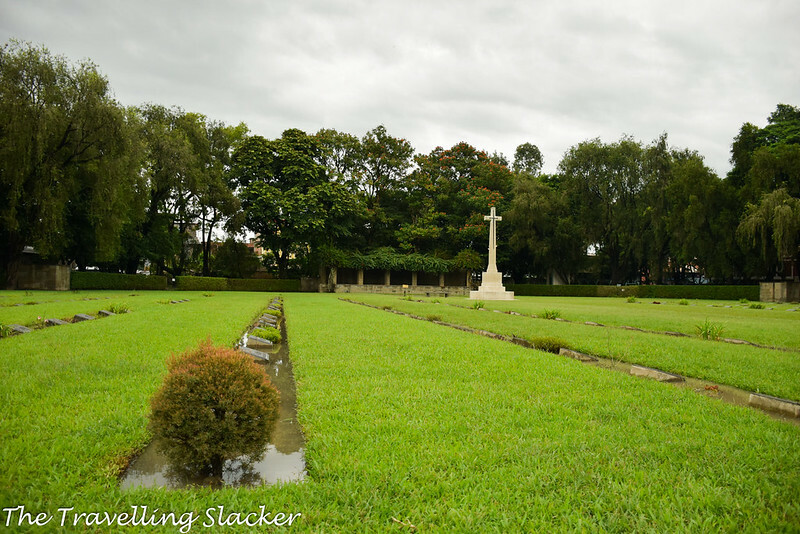 There is not one but two war cemeteries in Imphal where thousands of allied soldiers were laid to rest. 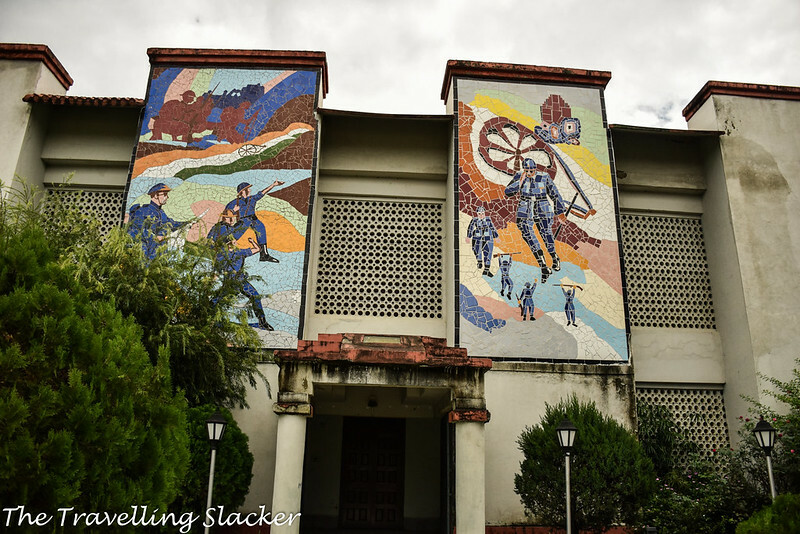 On the other hand at Moirang, a small town 40 km from Imphal, there is an INA Memorial with a Bose statue and a museum with a lot of interesting items such as arms and ammunition used in the war, rare photographs, correspondence, maps, and other memorabilia. 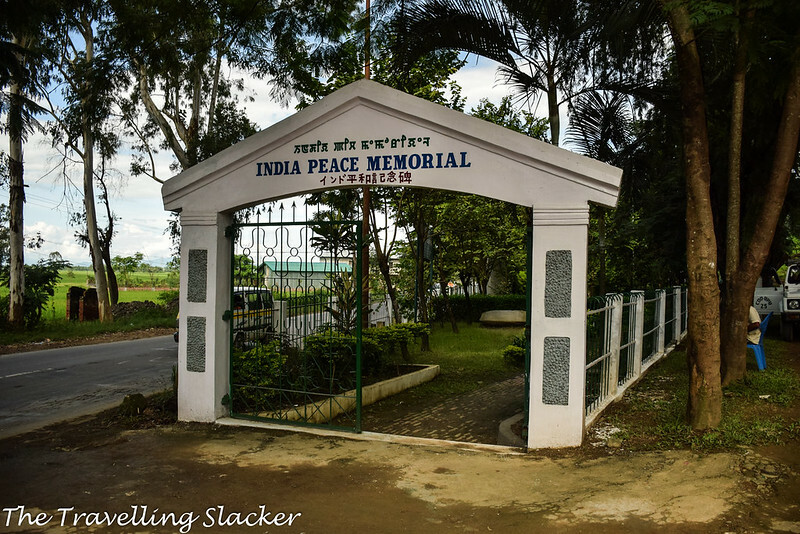 Somewhere between both the towns, in a small place called Maibam Lakpa-Ching (Red Hill), lies the India Peace Memorial, built by the Japanese, along with a small temple nearby. A fierce battle took place here but now the Japanese visitors come here to pray for peace. 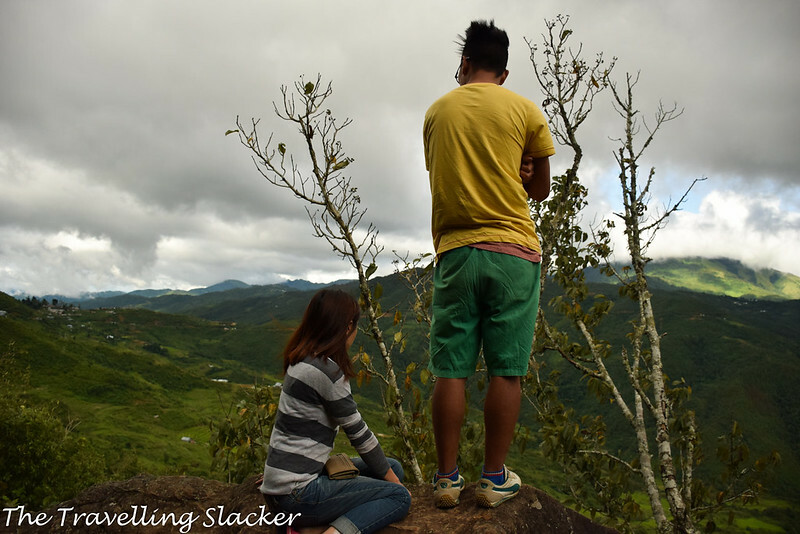 I desperately wanted to visit Ukhrul during this trip. It is one of the hill districts of Manipur, neighboring Nagaland. 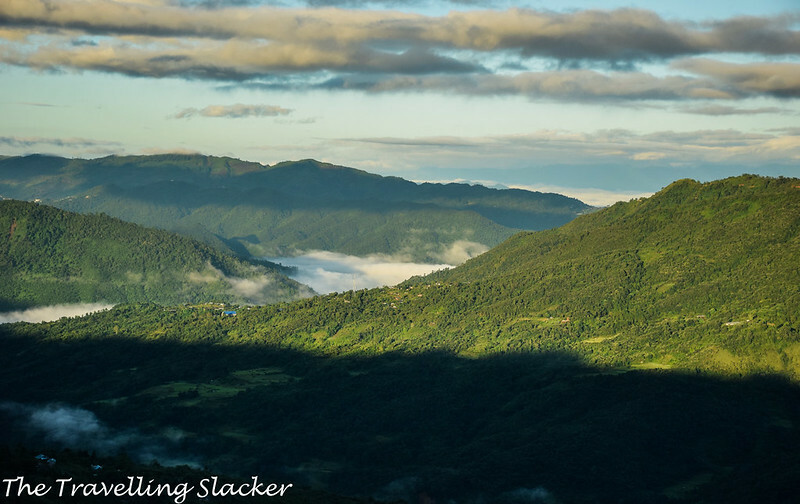 People living here are also mostly Tangkhul Nagas. Even the traffic lights here seemed to mimic classic Naga patterns. Ukhrul is known for the Siroi Hills (Shirui Hills), and the Shiroi Lily (Shirui Lily) that blooms here every summer. A short trek here can take you to a delirious valley of flowers. Although it was way past the lily season (Blooms mostly in May), I still expected it to be a great trek. The day I reached was sunny and I roamed around with some local youth and clicked some good pictures. 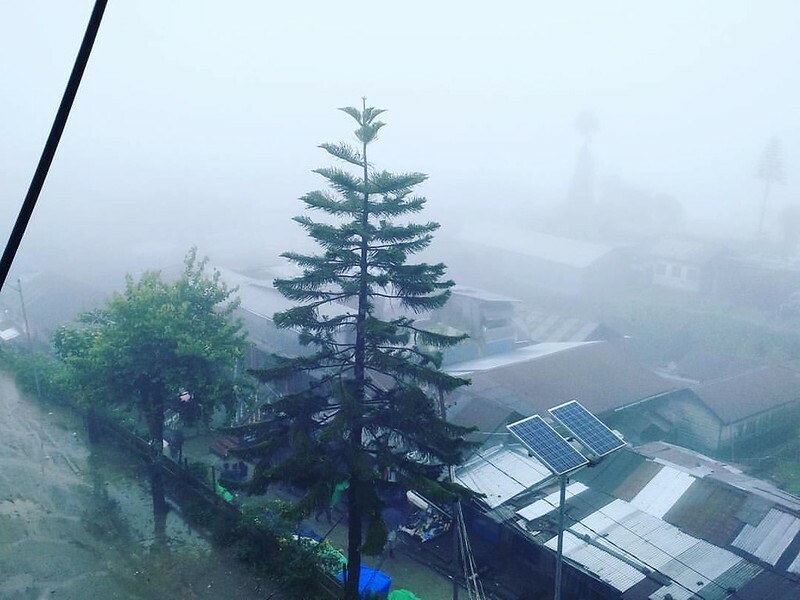 But for the next two days, it rained incessantly and a thick layer of mist engulfed the town, reminding me of Stephen King’s The Mist brought to the silver screen by Frank Darabont. 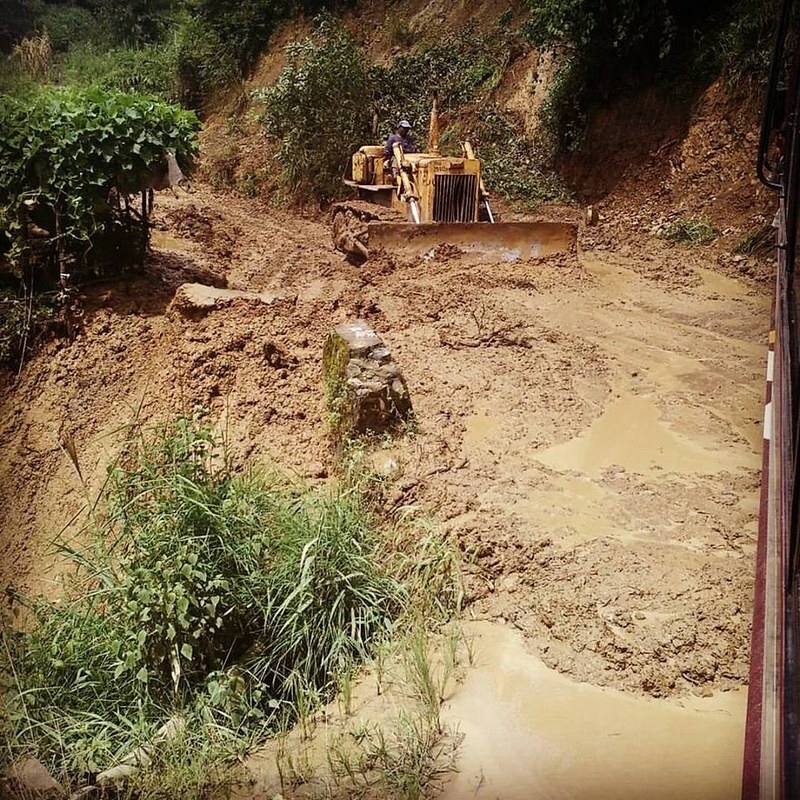 The rains naturally affected the already terrible roads and the landslide ensured that I could not even get out of the town. Finally, the morning when I managed to leave, the weather cleared completely, almost as if mocking me at my misfortune. But I am not done with Ukhrul. I will return next summer and will finally have my date with Siroi Lily. The following pictures describe my ordeal in a chronological manner. A bright arrival but bad roads, a hazy stay, and another bright day on departure! Due to my wasted days in Ukhrul and the aforementioned strike in Imphal, I was left with too many things to do on my last day. 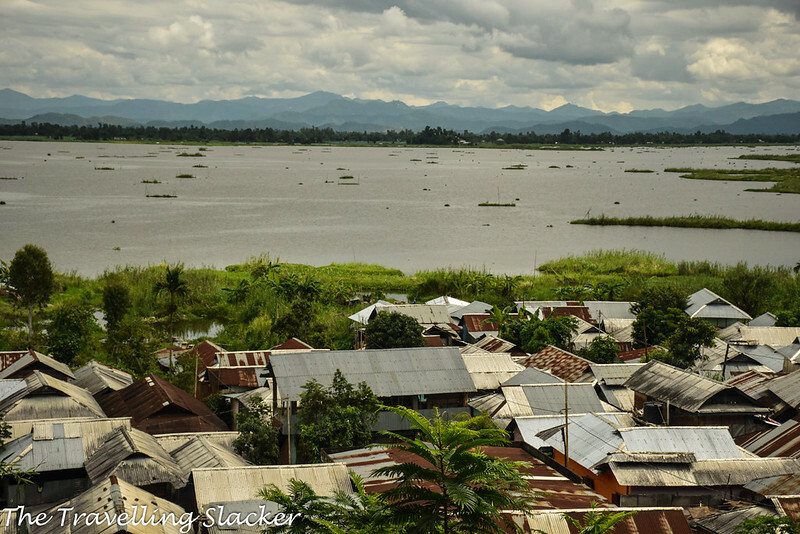 So, I could not devote much time to the Loktak Lake, one of the most famous landmarks in Manipur. The largest freshwater lake in the Northeast and the lives of the people who live on its banks was worth a few days but I could spend no more than a couple of hours. It is so vast that the other side can hardly be seen from one end. I just walked around the area and took a few photographs. I also had no time left for the Keibul Lamjao National Park, the floating national park that forms a part of the lake. This is another place I’ll have to return to. So, my quick Manipur sojourn ends here. But in a way, it is only the beginning. 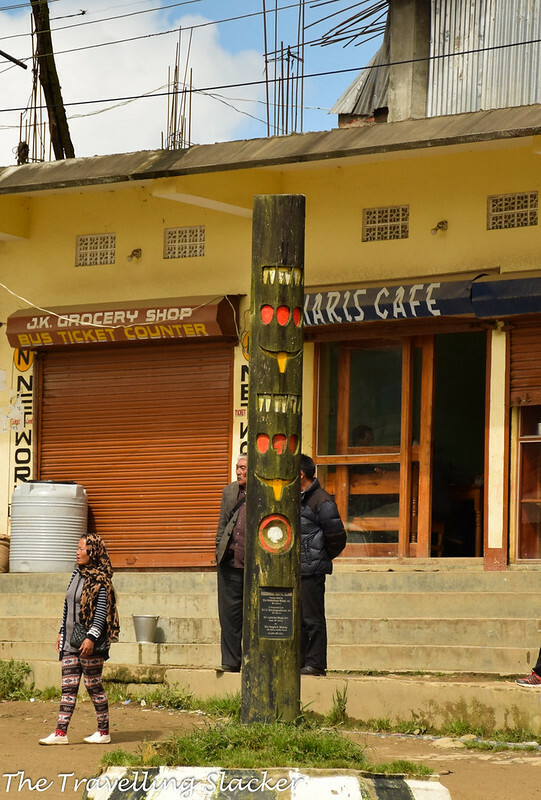 Just like in many other parts of the Northeast, information gap and infrastructural deficiency have hampered the growth of tourism in Manipur. As a native of Assam, it is only a few hours from my home (One hour on a flight). Yet, I had never ventured into it in all these years. It may look like a sprint on the map but it can really challenge your skills as a traveller. I even found myself in trouble due to the language barrier. I have always taken this fact for granted that basic Hindi can help you survive anywhere in India (Including the South). I also speak Assamese and Bengali to add to Hindi and English. So, I never expected this struggle. It is fine in Imphal but in the inner areas you may end up in places where nobody speaks a common language. However, let such issues not deter you from visiting the state. The trick is to be patient and understand each other without panicking. Near Loktak, a local person called me. He looked animated and was almost shouting. I wondered if there was something wrong, but later on I figured out that he just wanted to be photographed. Although this trip was not completely satisfactory, now I have a much clearer idea about the state. It will take multiple trips to do justice to everything the state has to offer. In case anybody wants to know more practical details about visiting the state, please wait for my Manipur DIY Travel Guide. It will take some work but I think it needs to be done. Nothing is worse than dreaming of going somewhere and having the weather completely dampen (literally and figuratively) the adventure. Your photos really helped to bring the trip to life. I love that they have an all women’s market. That was some tough weather and mud to get through, but thanks for sharing this with us! Looks like an amazing place. I love this post, so detailed and thoughtful. And it looks like the weather made your visit even more dramatic. The photos are gorgeous! Putting Manipur on my list, thank you! That definitely looks like a memorable trip. Not in least due to the scary landslides. As you rightly point out that the information gap and infrastructural deficiency is hampering the tourism there! This is an interesting part of India, with a very rich history too. I never knew Manipur was the birthplace of polo, very interesting! Those photos of the heavy rain and people walking through are well captured, and the mother’s market looks colourful. 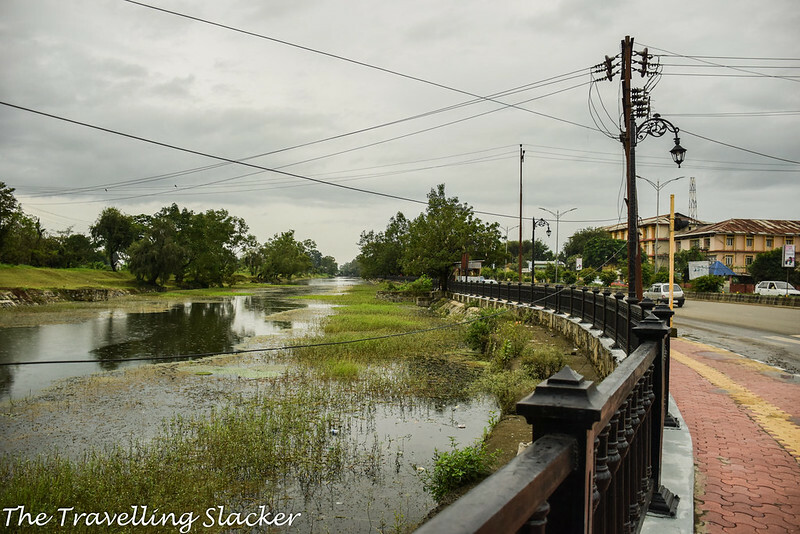 You’ve covered a lot in a week and I’m glad the rainy weather didn’t stop you from exploring Manipur. Rain or shine, there will always be stories to tell. Your photos actually exude a certain mood,which I like, thanks to the gloomy atmosphere. Sometimes I forget just how big India is, and how much time I’ll need to spend exploring there. Especially when you factor in the days when the weather doesn’t let you explore, as you point out. This place certainly looks interesting, with their rural lifestyle. I’d be interested in hiking out to that lake myself. I’m glad you kept exploring, even in the rainy weather! In fact, I think the colors pop in your photos because of the rain! But, those mudslides by the road would have me worried. Man this post is just jam-packed with awesome information! India is so full of history and such a fascinating place to learn about, especially for someone who has never been. I can understand how Manipur was considered the Jewel of India. The pictures you have are stunning. Those roads are no joke though. I definitely wouldn’t be able to drive around there! Your pictures are absolutely gorgeous! I’m sorry you had to deal with so much rain and other delays. I seem to have a lot of drizzle on my adventures, but not as much rain as this! The mist was really beautiful, though. I’m glad you’re making plans to go again. Manipur looks like a beautiful place to experience! Manipur looks like an amazing place to be. So refreshing and I am really glad to see they have an all women market. I’ve never heard of Manipur, but I can see why you needed a week there. There’s so much to do. I think the city of mothers sounds very interesting. And I agree that there are many regions in the east that are forgotten when it comes to WW2. Strangely, they’re not ever really taught in the US, other than Hiroshima. I’d love to visit this site, though and see the Indian Peace Memorial. Great writeup! I love your pictures and it’s variety. In weather and in subjects. This looks like a great adventure! Wow you seem to get lots done in a week! Shame about the weather but it didn’t stop you – your photos are fantastic and really bring this post to life. Manipur looks like an interesting place to visit. 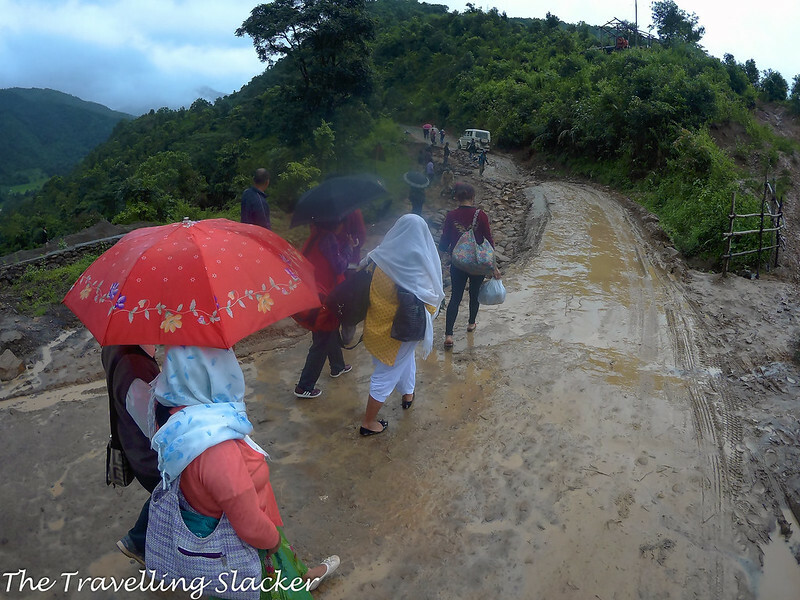 Lovely post on Manipur with beautiful photos to tell that you had a great time notwithstanding the weather. Always a time get back and hopefully with the kinda weather you want. The weather was really testing your adventurous spirit there! Still, you’ve come away with a great experience, some wonderful pictures, and a story which has helped me understand a little more about the history and the area in general. The exotic fruits looked so good as well – Would love to be able to try some! Manipur has been in my travel bucket list since last 4 years. Sorry to know that it rained a lot while you were on your trip. Your photographs are beautiful, especially those of Loktak Lake. Sounds like you at least got to experience some great sights, despite the crazy rainfall. I have come to realize that many markets around the world are dominated by women too, which I find really interesting, especially now that you mention it from your time visiting Ima Keithel. This place is amazing and we are sure it would’ve been even more if the weather was mint! This would be our ideal heaven to stroll around for photography. 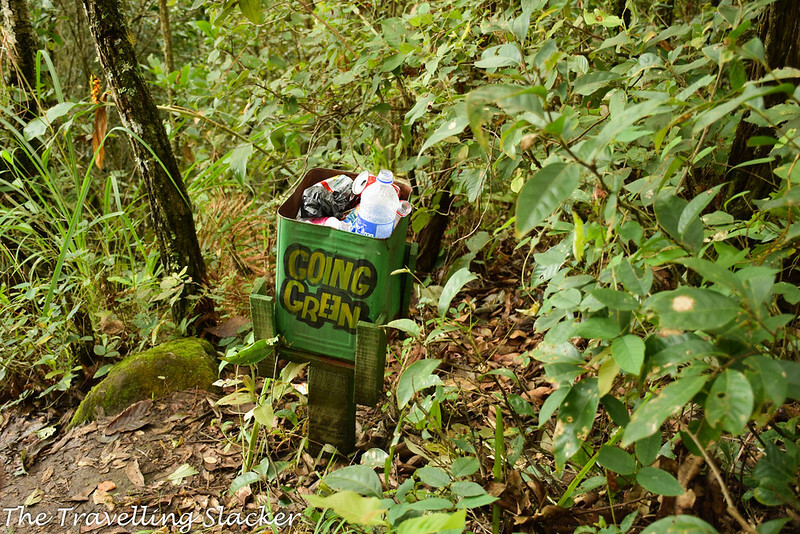 We love your blog, showing us parts of the world we don’t know! This post is surely inspiring and informative. Great intro to Manipur. Jitaditya, Loved to read your details post on Manipur. Amazing pics. Manipur is that part of India that retains its pristine nature to this day. The history of the place is really fascinating and reference to it can be found in the Puranas of yore. I loved reading your narrative and the pictures captured my imagination. Manipur is indeed a treasure waiting to be discovered and explored. I have been wanting to visit Manipur since so long, but like you the weather conditions just doesnt let me make up my mind. It’s so great you could explore this gorgeous part of India finally, every place you mentioned seems to be so beautiful. The Loktak lake sounds incredible, would love to visit it someday. That’s too bad that the weather didn’t cooperate for you! 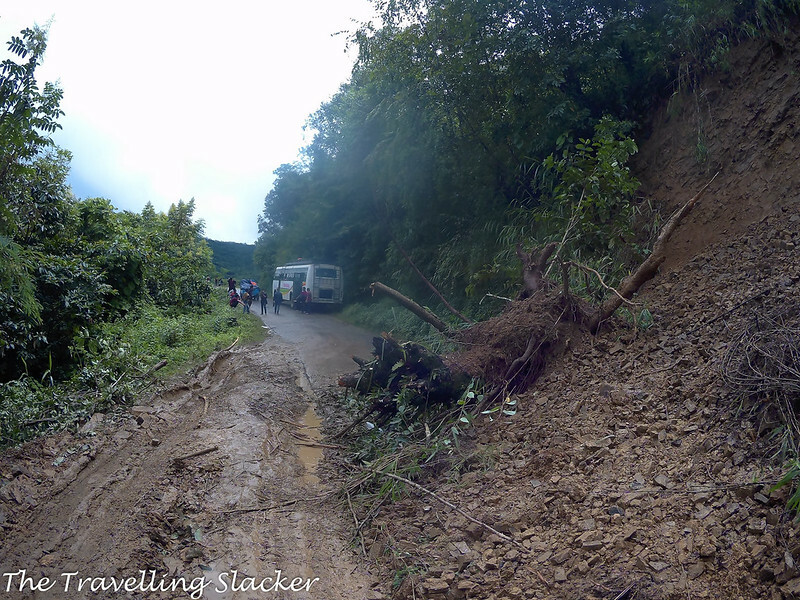 Always a bummer when that happens and the landslides look awful! Manipur looks like a wonderful place though, so I’m glad you were able to salvage a bit of the trip with some fun stuff regardless. 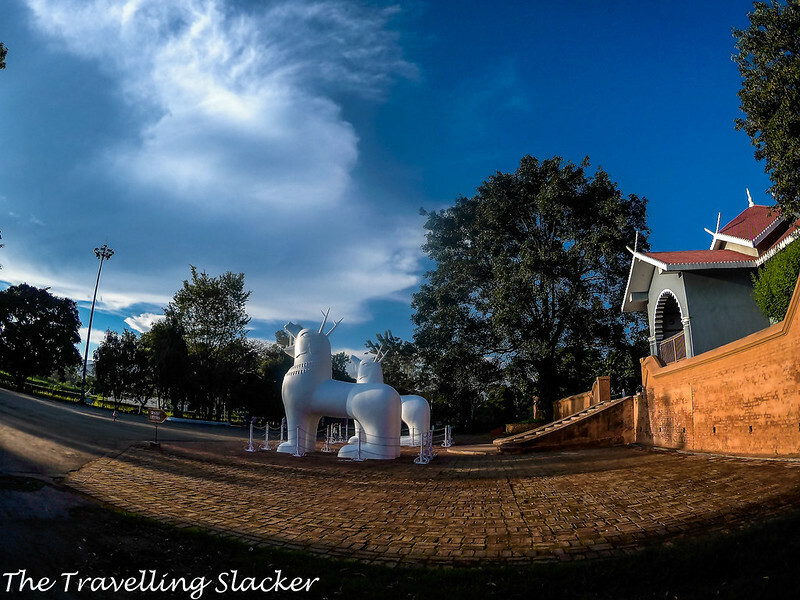 Kangla Fort looks like a really neat spot–I would love to explore the culture and history there and it looks really beautiful too! I have been to Manipur way back in my collage days. 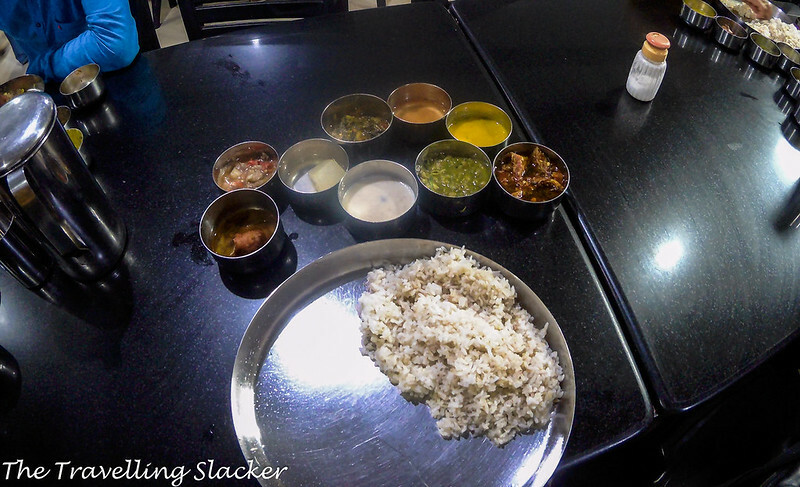 But I do remember that bus journey through Nagaland and my encounter with Manipuri Cuisines. I loved the Ima Markets a lot. As how the whole market is run by only women is simply incredible. I did visit the Loktak lake and war memorial as well. I really appreciate your passion towards Heritage walk in almost all the destinations. Thank you for braving that weather and sharing with us the sights that you saw and the things you learnt about Manipur. I’d heard about Polo having origins in India. Little did I know that it came to be designed in these parts. I hope you get to visit again, J. Will look forward to the accounts and pictures. I like the photography and the detailed information about Manipur. Yeah it’s just sad that you experience heavy rain that time. I would love to go there and see the rich culture that it has. So frustrating when the weather really recuses to cooperate with your travel plans but looks like you had some wonderful experiences anyway. I’m enjoying learning about the history and cultural remnants via your introduction. Though the rain is unfortunate, it definitely doesn’t take away from the beauty! The photos are bursting with colour and culture and make me want to visit NOW (hopefully in sunshine though lol).